Weight loss is one of the hardest things to achieve for most people, especially women. Hormonal fluctuations, family demands, work and social pressures can all impact the way we eat and drink, and can interfere with regular exercise. In trying to juggle all the many responsibilities of daily living, we often put ourselves and our health on the back burner, and end up gaining weight, or yo-yoing up and down on the scale without ever getting anywhere. Part of a good weight loss strategy is to identify the underlying issues that are keeping you from shedding unwanted pounds. Stress: Number one for a reason, stress puts you into survival mode, which is great if you have a temporary emergency to deal with. But when stress never lets up from one day to the next, powerful hormones tell your body to reserve energy in the form of fat. Ongoing stress can lead to chronic low-grade inflammation that in turn leads to metabolic disease. If stress is your pet obstacle, learning to manage it may be key to losing weight and staying healthy. Poor Sleep Quality: Stress’s favorite sister, inadequate and poor quality sleep does a number on your body chemistry, making you crave calories to keep you going when your brain and body are running on empty. Try changing your sleep habits by establishing a pre-sleep routine, cooling the bedroom, and banishing electronics from your sleep space. Low Exercise Intensity: Even if you are disciplined enough to get regular exercise, you may just be going through the motions without making a dent in your fat stores. Challenge your body by doing interval cardio training, changing up your routine, and upping your resistance. As a rule of thumb, the more challenging the exercise, the greater the results. Beverages: You may be watching what you eat, but are you paying attention to what you drink? Alcohol, sugary and diet soft drinks, fruit juices and fancy coffee beverages can add loads of calories that are quickly converted to fat. They also shoot up your insulin levels, predisposing you to diabetes. Not Enough Water: Water plays an important role in the fat metabolism process, and not drinking enough can stop you from losing weight. Drink one ounce of plain filtered or volcanic water for every two pounds of body weight daily, more if you’re sweating a lot from exercise or hot weather. Add a lemon wedge for flavor and optimal liver function. Cheating: Sticking to a diet is tough, and you may find yourself cheating from time to time, but those little calories can really add up. Some diets that limit carbs only work if you stick faithfully to the plan. Otherwise, you are defeating the purpose. Menopause: Once you pass your reproductive prime, you may find it harder to manage your weight. A number of factors come into play, including muscle and bone loss, and lower energy requirements due to less demand from your reproductive system. Your body may also store extra fat to produce estrogen, once your ovaries shut down. Portion Sizes: Even if you stick to a low carb regimen with only veggies and meats to fill you up, large portion sizes can exceed your caloric needs, keeping you from losing weight. In particular, limit your protein intake and eat healthy fats like nuts and avocados. Micronutrient Deficiency: If you find yourself constantly craving food, you may have a micronutrient deficiency. Your food cravings are a signal from your body that something essential is missing. Common deficiencies include B Vitamins found in red meats and animal products , Vitamin D3 from sunlight, and vitamin C found in fruits and vegetables. If you are eating “diet” food products, you are robbing your body of nutrients and filling it full of harmful chemicals that interfere with weight loss. Inadequate Recovery from Exercise: An important part of exercise is giving your body a chance to recover. Exercise does microscopic damage to your muscle and fascial tissues, causing inflammation and soreness. When you don’t recover between sessions, you are setting yourself up for chronic inflammation, sleep disruption and weight gain. 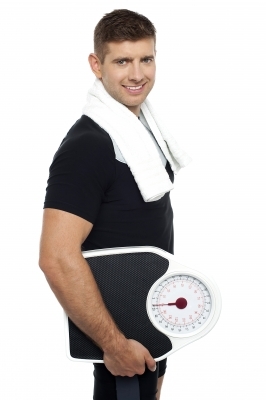 Next post: 7 Common Weight Loss Myths: Fact or Fiction?